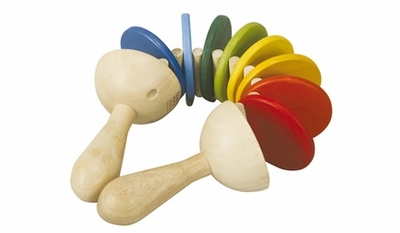 The Clatter makes a click-clack sound that changes with play and goes from a gentle ripple to a clattering crescendo. Made from renewable rubber wood and printed with non-toxic soy ink. Measures 13.5" x 2.4" x 2.4". Recommended for 19 months and up.